Q: I made some dough in order to bake bread and separated challah. When I wasn’t looking, someone inadvertently took that piece of separated challah and added it back into the rest of the dough. Now that the dough and challah are all mixed together, how should I proceed? A: Before we discuss how to proceed, let us clarify one point. The word “challah” has two meanings. 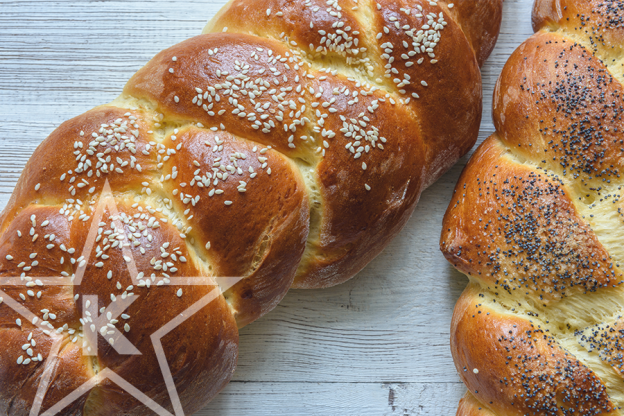 It is used as the name of a bread which is braided, baked and commonly eaten at Shabbos meals. It is also used to describe a small piece of dough that was separated from a larger batch of dough in order to fulfill the halachic obligation of hafrashas challah. We are using the word “challah” in that second sense. Rav Yaakov Emden writes that this halachah of bitul applies only when the challah is mixed into a different dough, not when it is mixed back into the very same dough from which the challah was separated. In our scenario, where the challah was added back into the same dough from which it came, Rav Yaakov Emden paskens that bitul will not help. However, the majority of Poskim disagree with this and say that in this case the challah would be botul.2 Generally, there is not 100 times as much dough as there is challah and we cannot rely on bitul. The question, therefore, remains how should one proceed in that case? For further information regarding hafrashas challah, see “When You Need to Knead: A Guide to Hafrashas Challah” by Rabbi Dovid Heber.